Grafana is a very useful open-source data visualization and monitoring platform that can use data from a variety of sources and display it based of custom filters and alerts. 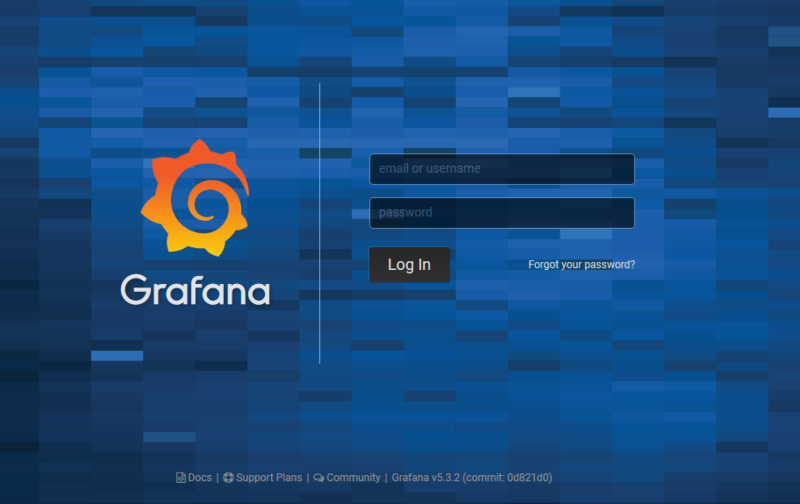 In this article, we will go through the setup of Grafana on a CentOS 7 system, using a MySQL database as a data source. Before installing any packages, run yum update in order to make sure that your system is up to date. CentOS 7 uses MariaDB as the preferred database application, so MySQL can’t be installed from the default repositories. All of the options here are pretty straightforward: choose a strong root password to replace the temporary one and press y to accept all of the other questions, which will remove anonymous users and the test database, as well as disable remote root login. There are several ways to install Grafana in CentOS, the most convenient is to setup a yum repository because it will allow you to easily upgrade your packages in the future. Your Grafana server is now up and running, so you can connect to it using your web browser. Enter admin/admin as the initial username and password, you’ll be immediately prompted to enter a new password. You will then reach the home menu, from where you can add a data source, configure plugins, create dashboards and share them with other users. From the dashboard, click on Add data source to configure the connection with the MySQL server. Enter a name for this data source, as well as the database name, user and password. In this example, we have created a dummy database and user, both named grafana_test. Click on the Save & Test button, if the credentials are correct you should see the message Database Connection OK.
Of course, in a real scenario you will have an actual database populated with real data that you can use as a source. Grafana is a very powerful application, after adding the first data source it is time to start exploring its features. The next step is to customize the dashboard to visualize your data, so click on the Create your first dashboard button. Select one of the options available, you will be able to add many other types later using applications and plugins. Follow the initial walkthrough to the end, the Add Users menu allows you to invite other members of your team. However, a local SMTP server must be configured first, which we will not cover in the limited scope of this article. 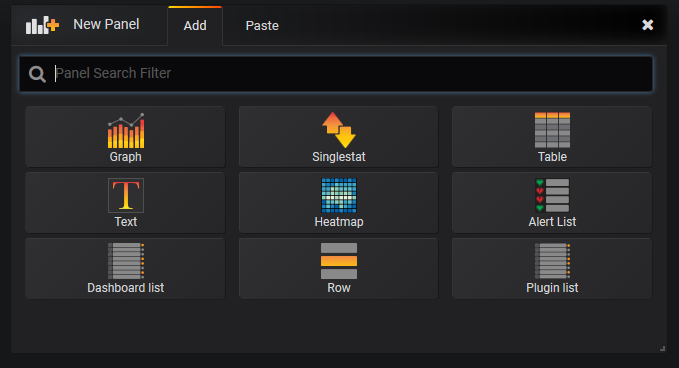 The last step is to install apps and plugins, clicking on it will open a list of both free and premium options that can greatly enhance your Grafana server. 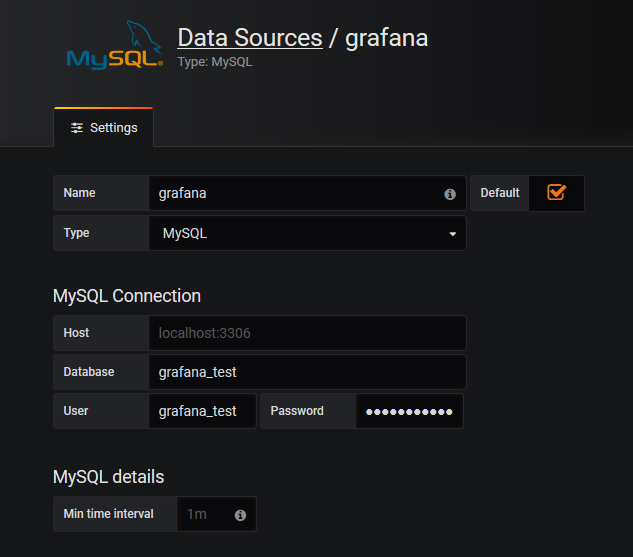 By following this tutorial, you now have a fully functional installation of Grafana, configured to use data from a local MySQL server. It is a very powerful platform that can be customized according to your needs; you can for example add a Prometheus dashboard in order to create a monitoring stack. Check the official documentation for more ideas and specific use cases.